Grew Up… in an orphanage during the Great Depression, after her parents left her there with a note and half a locket. Living… in an orphanage in New York City under the supervision of Miss Hannigan. Since Hannigan couldn’t care less about the orphans and spends their funds on herself, the orphans pretty much live in neglect and have to make do with little. In this place, the only support and companionship Annie finds is with the other girls that live there. Visiting… billionaire Daddy Warbucks’s estate. Warbucks takes Annie in for a little while to improve his image, and while she stays at his house, she is given nice things and lots of time to play. It’s a foreign experience for Annie – although it seems to be a new experience for Warbucks, too. Profession… orphan. Which means that she does whatever work the orphanage supervisor wants her to do. This is usually cleaning. Interests… playing with her dog Sandy and daydreaming about her parents. Annie has been deprived of most things living in the orphanage, so her interests are limited. But she will be sure to find more interests under Daddy Warbucks’s roof. Relationship Status… single. She’s still a child who misses her parents. Give her a few years to grow up. Challenge… tracking down her real parents. As she puts it, “I’ve been dreaming of my folks for as long as I can remember, and I’ve just got to find them.” Even though she can barely recall them, Annie holds fast to the belief that her parents will come and take her away from the orphanage. As an orphan, she has no power to look for them herself, but maybe someone else could be convinced to lend a hand. Maybe someone like Daddy Warbucks. Personality… optimistic, caring, and honest. 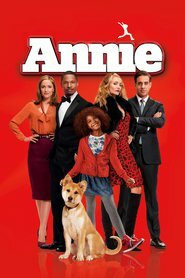 Annie takes care of the other girls in her orphanage, and her blunt honesty is part of her charm. Believing that “the sun’ll come out tomorrow,” she never loses her spirit. Annie's popularity ranking on CharacTour is #1828 out of 5,000+ characters. See our top-ranked characters and read their profiles.